30 years ago today one of my all time favorite artists died ... Jim Morrison. In between my senior year of high school and freshman year of college I really discovered classic rock. The Doors and Jim Morrison were one of the first bands I really fell in love with and am still obsessed with. Light My Fire was my first big obsession, I know it's so cliche right? When I listened to the song it felt like Jim was singing just for me and I could totally understand the craziness that ensued after it was released. Even now when I close my eyes and listen to those first drum and the Vox Continental I feel moved to sway, then dance and then go wild!! 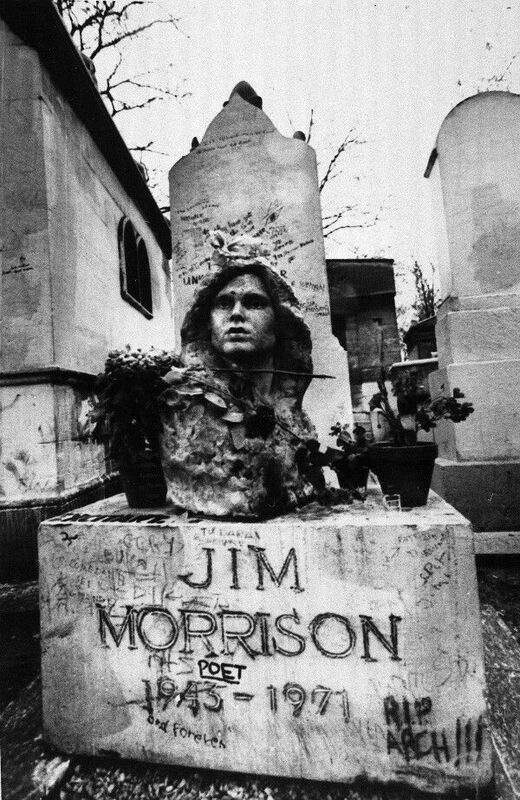 As I got further into the Doors I got more intrigued by Jim Morrison. For a while I was reading up on him a lot and listening to songs off the B-sides and totally into them. Then like what usually happens when you hit junior year of college things got more intense so I had to content myself with just grooving to the music. One of the most intriguing stories from Jim isn't of his crazy on stage antics but when he was younger. Since his father was in the military they moved and travelled quite a bit. During one of their travels the passed by an accident on an Indian Reservation. In the different biographies about Jim some say the Native Americans were dying and some say most were dead. Either way from that day on and until the day he died Jim Morrison believed that the souls of those Native Americans entered into his body. This believe manifested itself into multiple songs including "Dawn's Highway", "Peace Frog"(one of my favorites) and "Ghost Song". Throughout most of his adult life Jim was a total free spirit. Like many rock stars of his day (and today ha!) he was heavy into psychedelic drugs and alcohol. You can definitely tell that many of his songs and poetry was influenced by this. In addition he ended up with a little bit of a rap sheet! While they played in Miami he attempted to incite a riot and was later arrested for indecent exposure. He was sentenced to six months and actually remained free on bail. In 2010 the Governor of Florida actually pardoned him posthumously. That's just a little look at the Lizard King. If you're looking for more info I would definitely check out these two biographies No One Here Gets Out Alive and Jim Morrison: Life, Death, Legend. They are both very interesting reads. I leave you today with one of my top five Doors favorites. Partially written by Jim and Ray Manzarek when they were just hanging out on Venice Beach and saw a cute girl walk by. I'm a Doors fan, too. I remember the first time I heard them, it was like a light bulb went on. Their sound was so raw and emotional. Put the bands I was listening to in high school to shame. Along with the Doors, I really got into Bob Dylan. I love how music can transcend different generations and still speak to people decades after it was first written. Great post! Wow! Thanks for the share. I will definitely have to look around the website!